The team of Sara Folch Interior Design Barcelona, in companion with Sara Folch Interior Design Colombia wishes you a Merry Christmas and Happy 2019. This past 2018 has been one of the most impressive years until now as the interior design Barcelona brand has celebrated the 25th anniversary of the foundation of the company. The location was unique as we organized the party in one of the former interior design projects in Barcelona of the studio. More specifically, it was at the Cathelicopters hangar, in Port of Barcelona. During this last 2018, we have also been working on our interior design projects like different fair stands like the one in Frankfurt for Grupo Novolux. The experience of Sara Folch Interior Design was unique to create a spectacular space in order to gain more visibility for the brand. Something which the interior design Barcelona studio was aware once it was designing the Starlite Gala, a project by Sandra García Sanjuán, and also the AECC Marbella gala, both celebrated during this August in Marbella. 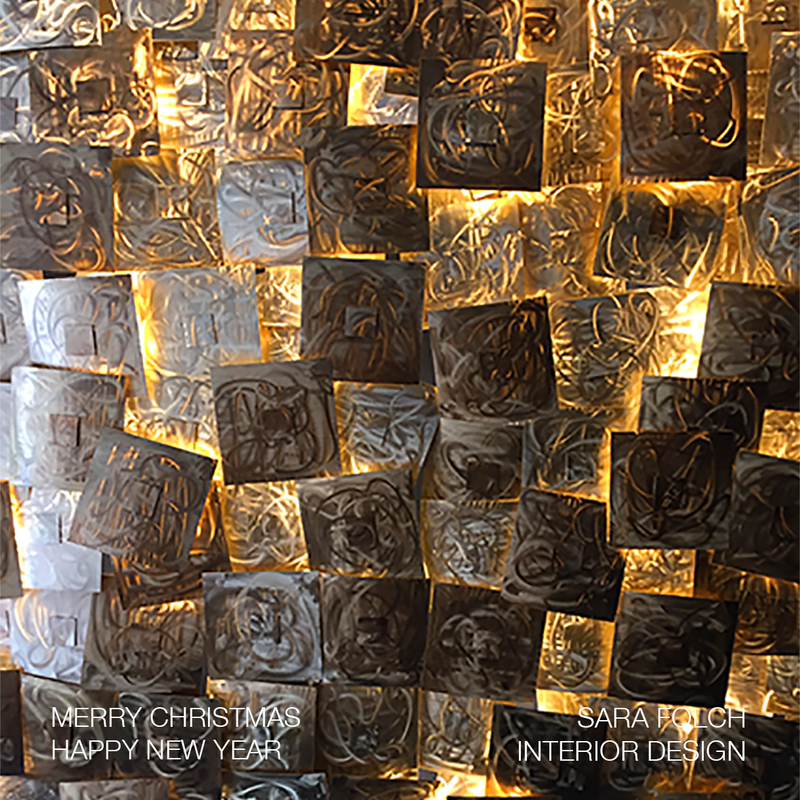 To wish a Merry Christmas and Happy 2019 to all of our clients at Sara Folch Interior Design, we have used a piece of a Bogotá Mall, more specifically Flormorado Mall, the one that the studio designed.